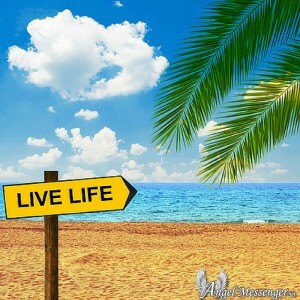 Are you living your life? Or is guilt, or maybe even another person, living it for you? Have you ever had so many responsibilities, other people depending on you, or even outside circumstances pressing down on you so hard that you feel like you just can’t even breathe anymore? Have you ever been in so much emotional pain that it physically begins to take a toll on your body? As you may know, the last year has been incredibly difficult. It was an entire year when outside circumstances took over the lives of everyone in my immediate family. I trusted someone that I shouldn’t have trusted, and Angel Messenger almost went broke. My grandfather was hospitalized in March, passed away in June. The weekend after Grandpa was buried, my mom-in-law took a serious fall that eventually brought about her passing. Dealing with the aftermath of everything has been too much to handle at times, and we haven’t been able to really take any time to heal. We had to cancel a business trip to Florida last spring that we had also planned to extend into a family vacation because I was worried that my grandfather would pass while we were gone. We attempted to plan another family vacation, but once Mom fell, that had to be cancelled as well. The one time we finally made a huge effort to go away for two days, something really bad happened. It was the Fourth of July weekend, and we went up north to stay with friends at their cabin for the weekend. This was the weekend that Mom fell. She had been very ill for 10 years, and she was bed-bound for the last six years at least. Her bones were brittle, and that fall broke so many bones in her body that she just could never come back from it. We felt so guilty. We had been cancelling and rearranging plans for years in order to be there for Mom. The one time we allowed ourselves a couple of days happened to be one of the worst times we could possibly have not been there. On November 11th, my husband lost his mother, and my son lost his grandmother. In his wisdom, my son pointed out that it’s like we lost Grandpa, too, because he’s certainly not the same. This loss was a huge blow to us all. For me, it was a year of painful growth. It actually started when I committed myself to a very costly business class and ended after the deaths of four loved ones. Two of those losses where the “knock the wind out of you” type of losses – my mom-in-law and my paternal grandfather. When my grandfather passed away last June, I knew I had lost any chance to connect with his (my father’s) family. I had spent months sitting with them next to Grandpa’s hospital bed. I tried to put as much effort as possible into the expensive class that I signed up for, but I was honestly in so much pain that I just wished I’d never signed up for it. The instructor sure wasn’t happy that I was so focused on my pain and dying loved ones, but I felt family was more important. My grandfather was a part of my life, but it turns out that my father’s family didn’t exactly know that I existed. I thought they did know and didn’t care, but that’s another story. So, I faithfully visited my grandfather as much as possible. It was my time with him, and I wanted to be there as much as I could. I felt like there was something he needed from me, and I was right. Being there meant I was able to have our last conversation that meant a great deal to both of us. He had needed that and so did I. That time with him also meant that I met my aunts, uncles, cousins … and eventually my father. After talking with and spending time with them all, it was easy to find hope that things might be different now. I didn’t just fall down a rabbit hole with this, I was sucked in so hard and so fast that I was no longer myself. The illness that had seemed more of an annoyance began to take over, and I actually wondered if I might die myself. It felt like there was nothing I could do. As a little girl, I had buried all this pain inside that my adult self didn’t know was even there. It was like I was gently flying around discovering new galaxies when I was suddenly sucked into a black hole of despair and self-loathing. I’m not proud it of, but my reasons seemed quite justified at the time. Seriously, how was I supposed to feel after all I had learned and all that had happened? It seemed like just as I had tried to expand Angel Messenger into finally being what I wanted it to be, this crazy maelstrom of a storm hit full force. This pain was like nothing I’ve ever felt before. It felt like everything that I tried to help me overcome what was happening would only tear me apart. I tried to make sense of why my father’s family didn’t know about me and what my father did or didn’t know. What had happened to all the letters I had written to him over the years? When the truth behind the story finally began to unravel, I couldn’t believe what I’d found. It seems there may have actually been some kind of conspiracy to hide my existence. So, that was weird? How does someone deal with that? I still don’t know, honestly. The thing that hit me the hardest was when my son told me how upset he was about everything that had happened with my father’s family. I knew how much I hurt on the day Grandpa was buried. This was one time when I really wished I’d been wrong. Once Grandpa was gone, there was no reason for the family to want anything to do with me … or my son. And I forgot … I forgot in my black hole of despair that this would also affect my son. I can’t believe I let this happen. Part of me will probably always look back on this time as one of my biggest failures as a parent. For someone who always puts others first, I am so ashamed to say that I didn’t protect my son from the pain he experienced because of me. I allowed my son to come with me to the hospital several times because this was his family, too. I didn’t think about what would happen to him when they didn’t have a reason for us to be a part of their lives anymore. In one of our little talks, my son broke down crying about how upset he was about this whole ordeal. He had hoped, like I did, that he would have more family that he could spend time with. It’s a bit complicated to explain the details of why this was so important, but my son had placed hope in these new family members that he had not ever placed with anyone before, and I was completely blind to what was happening to him until it was too late. However, I do try to remind myself that my son is also a lightworker. I try to accept that he was meant to be there – not to experience the pain but to provide healing to those who needed it. He was a great source of healing for my grandmother (who is still a part of our lives even though she lives kinda far away). Sometimes my son is exactly the beacon of light I need to remind me that there is always a light in the darkness. It has been a long road, but I’m starting to find my way out of that black hole. If you want to know how I did it, well, I’m not quite sure. I leaned on my guides and angels quite heavily. Eventually, I began to trust that everything was happening as it was Divinely meant to. I am usually a big believer in taking action. I do not believe we are supposed to just sit around and pray our laundry list of wants and needs to our Heavenly guardians all day, just expecting them to live our lives for us. However, there are certainly times when we are simply not able to make things happen no matter how hard we try. These are times we should ask ourselves if maybe we’re not meant to change things. So, that’s where I started. I started to entertain the idea that maybe my father’s family wasn’t supposed to be part of my life (or my son’s life). Having faith that Heaven could see the “big picture” much more clearly than I could at that point, I let go of what was really my “expectations”. I have left a small window open for hope, just in case things change. However, I’m doing my best to let go of being attached to any outcome. When the new year began, my husband and I sat down and really thought about what we wanted out of our lives. Those we love have worked their whole lives to please other people – sometimes for a career, but the thing that really stuck in our heads was Mom and Dad. We asked ourselves if we want to be the kind of people that never take time for vacations and then one day sadly realize it’s too late to go. My husband and I have also decided to make more of an effort to work less and experience life more. Sometimes circumstances in our lives can really take over. As you can see, I’ve been there. But, my family is starting to see that we are finally in a place where we can take our lives back. It’s difficult for sure, and we are still in pain, but we are deciding to move forward and to live our lives more for ourselves. 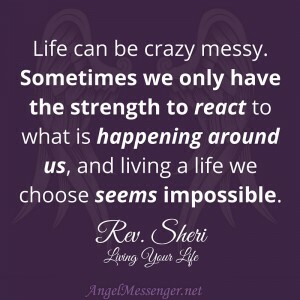 Life can be crazy messy. Sometimes we only have the strength to react to what is happening around us, and living a life we choose seems impossible. Sometimes just getting out of bed in the morning takes a Herculean effort, but living life is why we are here. Deep inside us, we have passions and personalities that aid us in finding our Divine path. It’s not selfish to live a life true to who you are. In fact, not living for your true self means that you’re not living your purpose. If you’re ignoring what your heart is telling you, ignoring your passions and what you really know to be true for you, then you really are ignoring your Divine guidance because who you are and what drives you are major keys that unlock what you’re here to do in this life. Just let go. Live for you, be who you are meant to be! That’s my intention, at least. 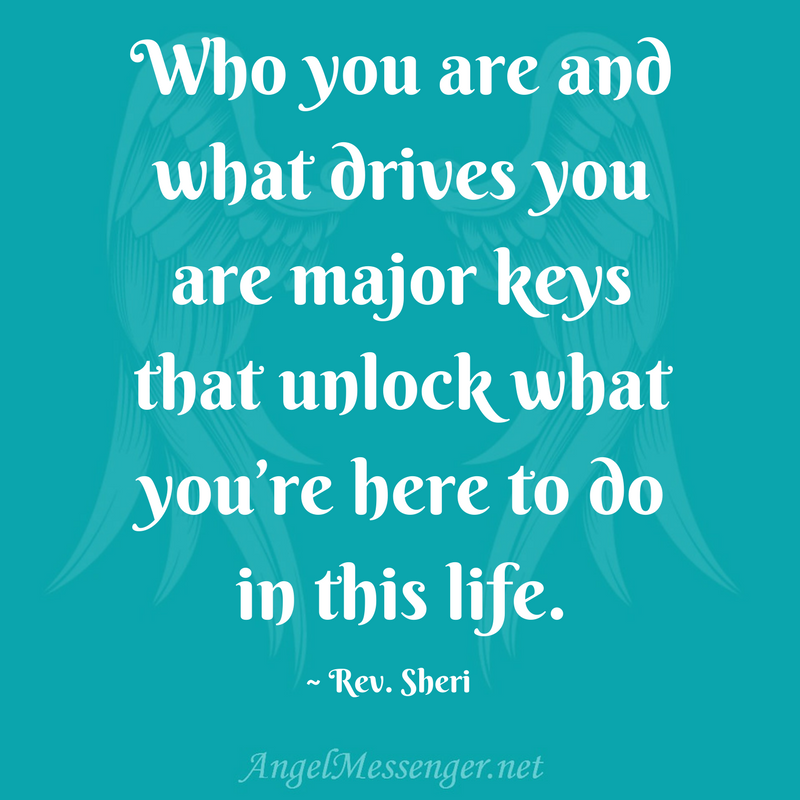 http://www.angelmessenger.net/wp-content/uploads/Are-you-living-your-life-June-2016-article-by-Sheri-no-wording-e1462486257132.jpg 400 400 Rev. 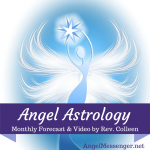 Sheri http://www.angelmessenger.net/wp-content/uploads/Angel-Messenger-Logo-2016-v4.png Rev. Sheri2016-06-13 08:30:122017-11-14 14:30:10Are You Living Your Life? 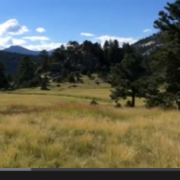 I will post a very short version–the other comment took almost an hour to write! Wow, that’ll teach me to copy paste. My father, who was schizophrenic, passed away 5 years ago. He did some horrible things to my brother and me. I never got closure. I carry around tremendous sadness and anger. Somehow it was like I broke inside–I had been in a lot of pain for a long time but always had hope that things could be better, that there was justice in the universe. So I know a little bit how you feel, but have not been as successful handling it. 🙁 that is such a bummer when that happens.